Generally the tooth has no reaction to fillings. Occasionally, there may be some temporary tenderness to chewing or cold, but this eventually goes away. Try not to test the tooth immediately after placement of the filling. It needs time to get acquainted with the decay removal and new filling. Using Sensodyne or any other tooth sensitive toothpaste should help. Bleeding. To prevent unnecessary bleeding, maintain gentle pressure over the surgery site(s) by biting on gauze. You have been given an ample supply of gauze pads. If more are required, they can be purchased at a drugstore or supermarket. Biting on a teabag that has been moistened and wrapped in a piece of gauze also helps to stop bleeding. Pressure should be continued for one to two hours or until most of the bleeding has stopped. Change the packs every 15-20 minutes or when saturated. Place a towel on your pillow the first night in case of oozing. Eating. It is important to get adequate nutrition after surgery to help the healing process. Just drink liquid food supplements and juices and eat soft foods today. Progress to firmer foods as healing progresses. Rinsing and brushing. Do not rinse for the first 24 hours after surgery. This could dislodge the blood clot and lead to a dry socket. After 24 hours, rinse with warm salt water (1/2 tsp. salt in 8 oz. of water) 3-4 times a day for 2 days. Besides rinsing too soon, other actions that could contribute to a dry socket are smoking, using a straw, and drinking carbonated beverages. Ice packs. To help prevent the swelling that occurs the next day, ice packs should be applied to the face near the surgery site. Apply these ice packs for periods of 20 minutes on 5 minutes off until bedtime on the day of surgery. With most oral surgery, swelling peaks at about 48 hours and then starts to go down. Significant swelling beyond this time could indicate infection. If this occurs, call me. You have been given a temporary crown to keep the tooth comfortable. It has been cemented with a sedative adhesive and will keep the tooth from moving and allowing normal use again. Please brush as usual. However, refrain from flossing the area while the temporary is on. Do not pick at it or chew gum or sticky foods. Otherwise, you will be calling me for an appointment to re-cement the crown. Ibuprofen or acetaminophen is adequate if the tooth experiences temporary soreness. If the gums appear dark around the crown, do not panic. It is a stain from the impression process and will wash out within 24 hours returning the gums to normal. If you accidently dislodge your crown, place it back on the tooth. If it does not stay and you cannot get in to see me, you can try several alternatives including Poly-Grip and Dent Temp, both available at the pharmacy or drug store. Depending on the situation, most root canal treatments heal very quickly with no tenderness. If there is a reaction, the tooth should start to feel normal again within 48 hours. Ibuprofen (3 200 mg tabs every 6 hours) is best during this time. If swelling or prolonged soreness occurs, call me at the office or on my cell phone 714-315-5705. 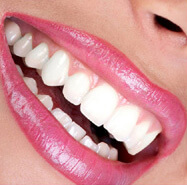 Bleaching is a safe process that restores white smiles. Teeth may experience some sensitivity. This normally goes away the next day. Sensitivity toothpastes are available in case you have a lot of abrasion against the teeth from wear and tear. I suggest a monthly booster application of the tray bleach for the first few months to solidify the teeth whitening process. After that, most people will bleach after their hygiene visits to maintain a bright smile. Remember that all teeth want to go yellow again…so keep a regular schedule.